Welcome to the Thankful for the MISTI Blog Hop! Comment on all the blogs along the way for chance to win two MISTIs (your choice of original or Mini) – one to for you, and one to your friend or relative that YOU are thankful for. Comment through Sunday on all blogs on the hop, and winners will be notified on Monday. Perfect placement of sentiments every single time. No more hunting for the correct sized block. Chickens like the MISTI too. I watercolored a splashy image (see colors below). After it was completely dry I stamped my sentiment with black ink. I inked up my leaf stamps in orange (Spiced Marmalade) and then tapped in a bit of deep red Aged Mahogany) ink randomly before stamping. Because it was on watercolor I needed to stamp more than once to get a nice solid image. I kept going stamping leaves until I had framed the sentiment. I finished my card by adding some gold metallic tape from Hobby Tape under the sentiment words and adhering the panel to a kraft card base. Jeanne Streiff – that’s me! This entry was posted in Big Shot/Big Shot Pro, Halloween, Fall, Hobby Tape, Holidays and Occasions, Impression Obsession, Inks, Memento, MISTI Tool, Paints, QoR Modern Watercolors, Ranger Distress, Stamps, Thank You, Thanksgiving, Tim Holtz, Tutorials. Bookmark the permalink. Love love love the beautiful fall card. Happy Thanksgiving!!! I love this card! The colors are truly eye catching and it makes a statement! Thanks for the detailed instructions and the photos along the way. Happy Thanksgiving! beautiful card! I am also thankful for my MISTI! Jeanne, how cute is that chicken by your MISTI. The stamping of the word “Thankful” is so dark that it looks like a die cut out of black paper. 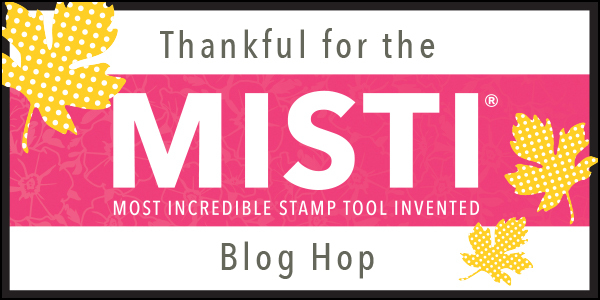 I do not own a MISTI and can just imagine how it would change my stamping world. I currently avoid stamping and rely on the dies on my cards to do the work. Thank you for sharing your beautiful card with those gorgeous leaves. Beautiful card! The chicken is really cute! So fluffy! I love your card – and your chicken! I really like the sharp intense black you were able to achieve for the sentiment against that background. I have trouble doing that sometimes; I’m sure the MISTI would help, as you could re-stamp again and again as needed. Ooooolala, that is gorgeous! Thanks for sharing this beautiful piece! Love the card and the chicken! Happy Thanksgiving! Oh I love this card! I love the colors…the combination of techniques…the simplicity! Thank you for sharing and inspiring. I would love to win a misti for me and for a dear friend…fingers crossed. Beautiful solid colored leaves! MISTI is fabulous for framing :). I am thankful I found this hobby 20+ years ago! Beautiful card!!! Love the way you colored the leaves. Your card is really gorgeous Jeanne. I am Thankful that my Mom loves crafting. Since my father has been ill she hasn’t been able to craft or make cards. He passed away 3 weeks ago and she is (of course), still grieving right now but I would like to see her get back into it as she enjoyed it so much and with winter coming she will be home alone a lot. The gift of a MISTI would certainly encourage that. Beautiful cards! Happy Thanksgiving to everyone! Your card is beautiful – great Fall colors. Also a nice idea with the water coloring. What a beautiful card. Love the watercolor splash in the middle. Well done. I am thankful for the MISTI because it not only helped me be a better stamper but it enabled my Art class students to stamp their own sentiments for their Mother’s Day cards that we make in class. I am hoping to acquire more of them so my students won’t have to wait so long in line to use it. Oh wow, your card is fantastic! Thanks for the inspiration. Wow! I love the colors! This is such a dynamic card. Lovely. I’m extra thankful for my friend Laura who’s an antique along side of me from way back!! Love her to pieces. 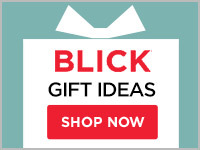 I don’t own a misti (on wish list) but I’d love us to win and share these. Your card is a beautiful reminder that it is still fall. I love that you shared the photo with your chicken also, so cute. I don’t know which one I like more, your beautiful card or the adorable chicken (I have always wanted to raise chickens). Your card is very creative and the colors are beautiful. I am thankful for all of the fabulous people in my life. Ok this card has left me with some inspiration to get back into my craft room and create!!! Love the colours. Just beautiful! LOVE this!!! I *NEED* a Misti. Fo Sho. Great card! love the water color effect. I agree that the MISTI is a godsend! I know it has helped me! I am thankful that Iliana gives us so many chances to win one! TFS! Beautiful card! Love your chicken. 🙂 I am thankful for my Mom and Dad! Happy Thanksgiving! Love your beautiful card. Chickie looks perplexed. Gorgeous card! Thank you for sharing! Happy Thanksgiving!!! Your card is beautiful. Just love the colors you achieved with your creativity and the Misti. I’m thankful you take the time to share with us how you create such beautiful cards. It is such a benefit to see how you use the Misti. Thank you. This card is brilliant! Love the center and the leaf branches hanging from the edges. The black just sends it over the top! LOVE the gorgeous colors of your background and leaves and the deep deep dark sentiment – the MISTI is the perfect papercrafter tool. Thanks for your inspiration. Beautiful. Love that chicken also. SOOOO very beautiful this is.I’m in awwwww. Love your card. The colors are just so gorgeous. Thank you for being a part of this giveaway. I love your card and the chicken seems to be helping you. Hahaha! Love the card AND the chicken!!! Pretty card! Liked the pictorial steps guide. I don’t own any stamping tool though I have collected few stamps but getting a stamping tool like MISTI is out of my budget now.. Guess will to wait for a year! I would be grateful to MISTI if I could win it. Love your card! That background is super cute! I am thankful for my MISTI, because I never mess up my projects anymore. I save paper and don’t get discouraged about my stamping. I love it! Great card–love the Misti and love that cool chicken! I’m so thankful for loving friends. Beautiful card; such an interesting background and so festive! Luv, luv, luv the chicken!! I think you should let him/her dance on stamp pads and imprint your paper with color!!! Happy Thanksgiving. Jeanne, I love the vibrant colors in your card; it’s so happy. Thanks. 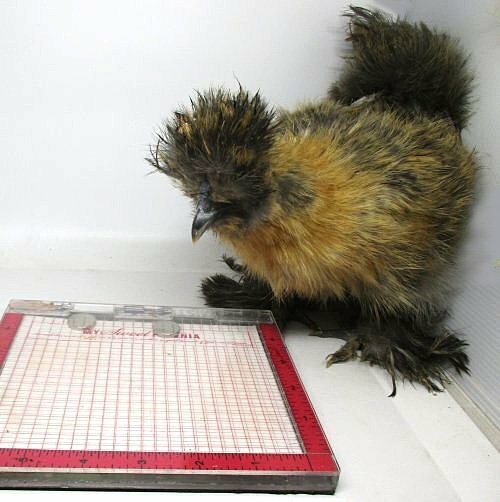 She (I hope) is a Silkie (partridge is her color). They are goofy little fuzzball chickens. Card is simply lovely…perfect for Thanksgiving. the tape under the sentiments really make it pop. love the vibrant colors. Beautiful card. I really like the watercolor background. I can see how the MISTI makes it easy to re-ink the leaves till you get enough color. Thanks for the tips. Love the beautiful background and card! The colors are so rich and vibrant. What a beautiful card, with that splash of color and bold sentiment. Your chicken put a big smile on my face, and winning a Misti would as well! Happy Thanksgiving and thank you for sharing! Cute chicken, overseeing your work….this is a stunning card, so rich in autumn color. Well done. That turkey made me chuckle! I needed that! Thank you! Love that chicken. Have you ever had it walk through paint to create something? Just made me think! Cute chicken! Love the card! Your water coloring is lovely. Your card is beautiful. Perfect colors and stamping – gotta love the Misti. Oh I love cards with leaves on them. The background splash just makes this card so beautiful! Happy Thanksgiving! Grateful to be with family this year. I would love to win the original size MISTIs. I would give one to my sister. Beautiful card! Love the gorgeous fall colors! I can see where the MISTI would work great for re-stamping on the watercolor paper! Fabulous way to get good coverage with a solid design! Got a kick out of the chicken too… aren’t they just so fun? We had a pet chicken named Cnnamon. My daughter used to hold her on her lap and watch TV and Cinnamon would doze off. You created a awesome card. Love the colors. Thank you for sharing your ideas and techniques. Also the little chick is adorable. I love the colors and the watercolor wash. Of course the complete card is gorgeous! Beautiful card! I love my misti too & for the same reason- re-inking. Such a beautiful card! Stunning background! I love the chick! Wow, this card is fabulous. I love the rich fall colors you chose. Thanks for sharing this with us. Happy Thanksgiving! I love this fall card. It’s so vibrant and pretty. I love your background and it’s perfect format for stamping the leaves over it. Happy Thanksgiving! Love your chicken! and the stamping too! Loved your card and really loved the chicken watching over it. Awesome sploosh of Fall colors. Love how you created your card! The fall colors are so spot on. Such a beautiful card. I’m with you about the Misti making it so much easier to stamp on watercolor paper and getting a clean image! The greatest tool ever and your card is awesome. I wish for my very own misty. The leaves look so realistic. Beautiful! The chicken is so fluffy looking, but I know he is admiring your bright and colorful card! How fun! I love this beautiful card! The colors are wonderful & the strip of tape under the sentiment finishes it off beautifully! Happy Thanksgiving to you & yours!! Love the beautiful colors on your card. So pretty and the chicken is pretty cool too! Absolutely gorgeous! Love the MISTI! Have to agree with Louise, no matter how adorable your chick is, (which he?she? is) the card is stunning! Love the watercolored background and the big bold sentiment. Yahoo for the Misti to get those bold dark sentiments, that are even straight, lol! Your card is beautiful! Would love to win a Misti! MISTI is the BEST tool to have. Love your card. Such a pretty card and your chicken is adorable! I absolutely love how you created the background and how the fun sentiment pops on your card! The MISTI is definitely at the top of my wish list and I would love to gift one to a crafty sister! Have a very Happy Thanksgiving! to get some use out of the Misti too. Love the card and the fact that the Misti lets us get perfect black sentiments on any background paper we can design. Just gorgeous. Thanks for a chance to win a MISTI! Gorgeous card! I need to use my watercolor paper more often. Thanks for sharing your beautiful card with us. I’m a sucker for watercolor anyway, this is just gorgeous. I love how easy the MISTI makes using watercolor paper. Gorgeous card! I love your steps/layers photo — really informative! Love the chicken too! Had to do a double take…your card is gorgeous…love your chicken too. I love the colors in this card! I love my Misti for repeat stamping such as the leaves on your card. By using the Misti, I can check the placement before stamping and eliminate all my previous frustration! I can’t imagine stamping without it now! thankful for a chance to win a Misti!!! Loved how you used the two techniques here. So cool. Fabulous card! That watercolored background is just gorgeous! Gorgeous, absolutely gorgeous and the chicken too. I don’t think I would even attempt this layout without a MISTI, thanks for the chance to win one or two. Happy Thanksgiving! Pretty card. I like the colors you chose. Love the colors and those pretty leaves that frame your sentiment!! I love the autumn leaves with a watercolored look!! My MISTI is my favorite papercrafting tool. Stunning card, the colors are pretty. Your chicken is adorable!! Thanks for sharing! And Happy Thanksgiving. Your card is beautifully colorful ! Yes, I agree with you, my Misti’s made my “stamping life” so much easier, I’m so happy to have them. And it’s really great to be able, if I’m the lucky one, to offer one to a friend of mine. Love your delightful card! Yep, the MISTI is FAB!! I’m tickled to have the chance to gift a MISTI to my crafting bestie, Mary, who encourages me so much in my crafting endeavors! Love the chicken! Thanks for the beautiful leaf card! Love the chicken and the MISTi! 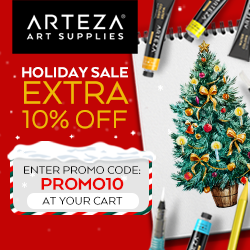 Stunning colors on your card, too. This is a beautiful card. The colors of a fall sunset! I’m thankful for family and health. Happy Thanksgiving! I love your pretty fall card. The water color background looks lovely with those leaves. I love the MISTI. I have a regular size, but often could use the mini. I am so thankful for my mother-in-law. She holds the family together! Beautiful fall card and love your chicken. LOVE your background and how you have framed the sentiment with the leaves, a BEAUTIFUL design and such warm colours!!! Oh my, the chicken cracked me up….I just kept thinking I hope it didn’t poop on your MISTI!! So worth the photo op even if it did – that’s one adorable chick and your card is gorgeous. I’m so thankful for crafters who selflessly share their talent and I’m grateful for my new stamping friend Renee who would love a MISTI (almost) as much as me. Such a beautiful card! Thankful for the inspiration! I love colors your used, beautiful card and I agree, the MISTI is perfect for those larger sentiments. I also like it for the larger background stamps. Love your card and the vibrant fall colors!! 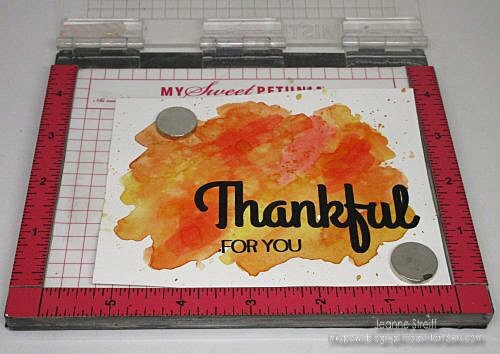 I am so thankful for my Stampin’ friends that inspire me everyday!! Would love to share this tool with them! I have never seen such a technique before. I’m SO THANKFUL that I saw this. I need some new ideas. I’m also thankful for my friend Carole Ebel. She is sweet and fun, and a stamper. I haven’t a Misti yet but I’m sure the Misty would make everything so much easier! Crossing my fingers!!! Your card is beautiful and I love that MISTI makes stamping on watercolor paper so easy. Beautiful card and chicken. Love the two colors you selected for the background. To me it gives a little rustic fall look. Love the card and the photos!! I love my MISTI too! Excited about the giveaway! Lovely artwork! Hi, Thanks for the tutorial and sharing your talent. What a beautiful card! I agree with all the points you made about the Misti! I would definitely give one to my niece who is just starting her crafting journey. And if the chicken likes it that really seals the deal! Jeanne this is such a stunning card. I love how you started out with the Watercolor image and then the sentiment. It helped seeing this in stages. Simply stunning colours and composition! Thanks for sharing. I’m thankful for this awesome blog hop and all the great ideas it’s generating for me. Happy Stamping! 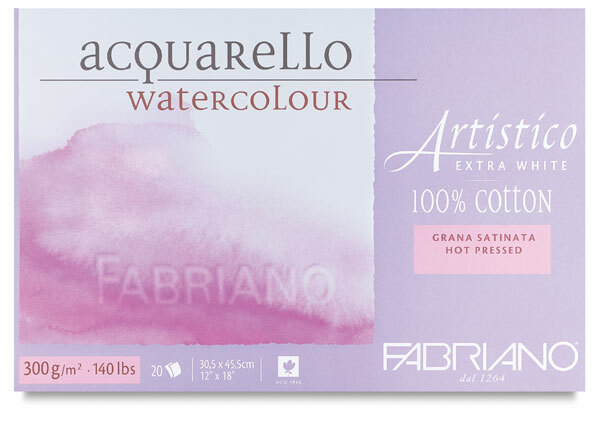 I love your watercolor background card …. and the chicken. I am thankful for my friend that would love to own a MISTI just like I do! Thanks for the chance to win this most useful tool! I love using the MISTI on watercolor paper to get the sentiment on that textured paper! Lovely card! I love CAS cards as there is always “stuff” going on especially during this most wonderful time of the year and being thankful is something to always remember. So, it would be AWESOME to win one and especially to win one to surprise my crafty friend, Gail. Love the colorful background on this card and the chicken is adorable. i love that BOLD sentiment – really stands out – thanks for sharing. Absolutely gorgeous, Jeanne! Love the talent you have in staging also! Lovely card. That is quite some chicken. Don’t think I have seen that breed before. I am thankful for the ability to get exact placement with the MISTI. I know my friend, Teri would find the MISTI very helpful. Fluffy chickens and beautiful cards just make my day! Thank you for the chance to win a Misti, which I would share with my mom. I need all the help I can get with my stamping, especially when I’m juggling crafting with taking care of my two little girls!